Last summer I made several bouquets with my bright yellow and orange daylilies. They were so cheerful and pretty- but died by the end of the first day. I was pretty bummed about it and thought it might have been the humidity causing them to shrivel up. Anyhow, I hadn’t thought about those daylilies since, until I went to the nursery yesterday and overheard a discussion about this very thing. The secret is quite obvious. 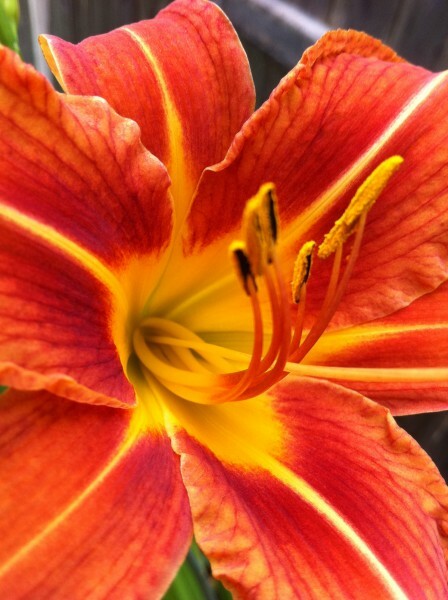 Wouldn’t you know that they are called “daylilies” for a reason? Duh! I honestly never noticed that they die after one day in bloom. I think it’s because there are typically several blooms on each stalk so it’s not as noticeable when one flower is spent. Of course, I will probably notice this all summer now that I know! Anyhow, moral of this story- cut your daylilies early in the morning and enjoy them! Really? Who would have thunk? Good to know. It is true! I have been watching them closely over the last week- the blooms do only last one day.